It’s Saturday so we start a new theme today. Water seems a good option for the next week. 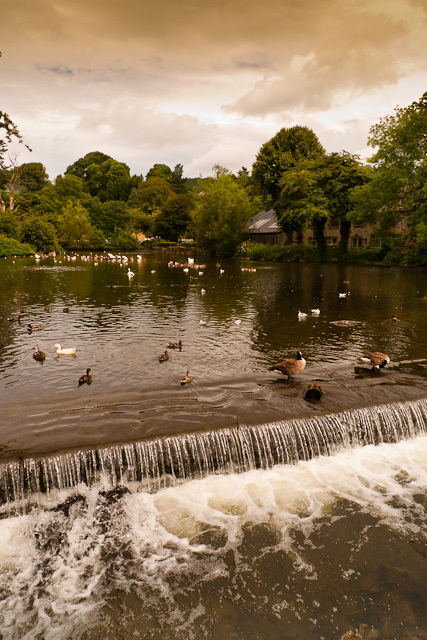 The Peak District town of Bakewell entertained us for a couple of hours. 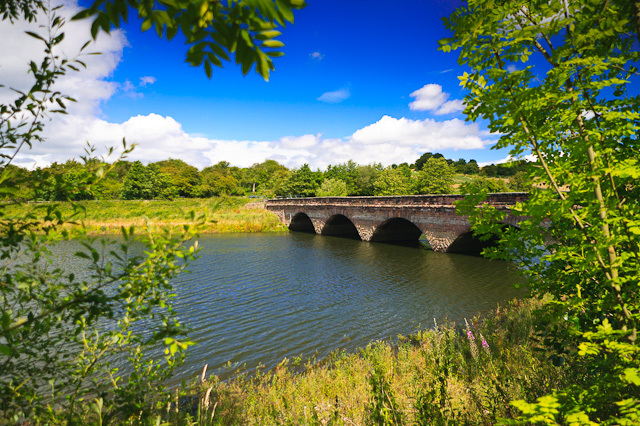 ﻿The River Wye is the major river of the western part of the Peak, rising on Axe Edge above Buxton (as do the Rivers Dove and Manifold, all within the space of a few kilometres) and flowing eastwards through Buxton and Bakewell to join the Derwent at Rowsley. Continuing the story…. a Mrs Wilson, wife of a Tallow Chandler who lived in the cottage now known as the Old Original Bakewell Pudding Shop where candles were made, saw the possibility of making the puddings for sale and obtained the so-called recipe and commenced in a business of her own. Recipes still made there consists of a puff pastry shell with a layer of jam, covered with a filling of eggs, sugar, butter and almonds. .. It is a contention of local history that the secret recipe for the Bakewell Pudding was left by Mrs. Greaves in her will to a Mr. Radford. In turn Mr. Radford passed the recipe on to Mr. Bloomer. There is still a Bloomers Shop in Bakewell that makes and sells Bakewell Puddings. Not a good day today…. Kairen has a hangover! What do I do? What do I say? Kairen never has hangovers !!!! - We must have had a good night…I think ! 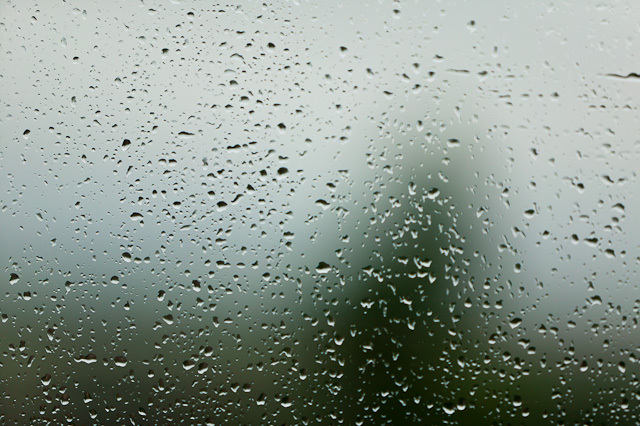 It’s a very grey day and raining……. Rain on my window pane! A beautiful sunny morning and I take a walk along the canal at Worksop. This is a lock and gates. A gate (often a pair of “pointing” half-gates) at each end of the chamber. 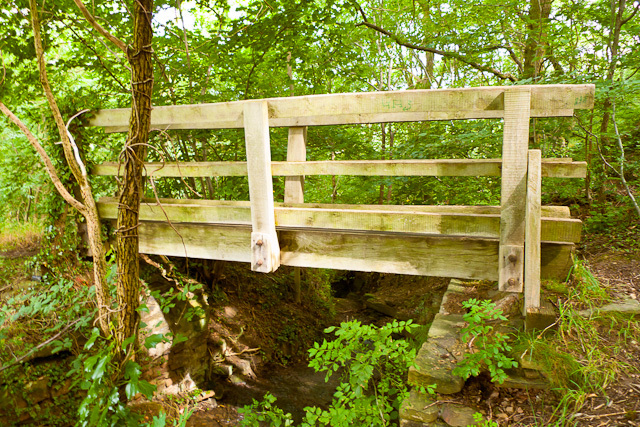 A gate is opened to allow a boat to enter or leave the chamber; when closed, the gate is watertight. The entrance gates are opened and the boat sails in. The exit gates are opened and the boat sails out. If the lock were empty, the boat would have had to wait 5 to 10 minutes while the lock was filled. For a boat travelling upstream, the process is reversed; the boat enters the empty lock, and then the chamber is filled by opening a valve that allows water to enter the chamber from the upper level. The whole operation will usually take between 10 and 20 minutes, depending on the size of the lock and whether the water in the lock was originally set at the boat’s level. 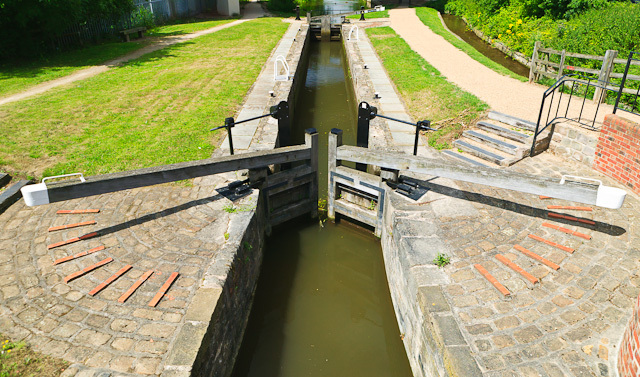 Boaters approaching a lock are usually pleased to meet another boat coming towards them, because this boat will have just exited the lock on their level and therefore set the lock in their favour — saving about 5 to 10 minutes. However, this is not true for staircase locks, where it is quicker for boats to go through in convoy. A plan and side view of a generic, empty canal lock. A lock chamber separated from the rest of the canal by an upper pair and a lower pair of mitre gates. The gates in each pair close against each other at an 18° angle to approximate an arch against the water pressure on the “upstream” side of the gates when the water level on the “downstream” side is lower. 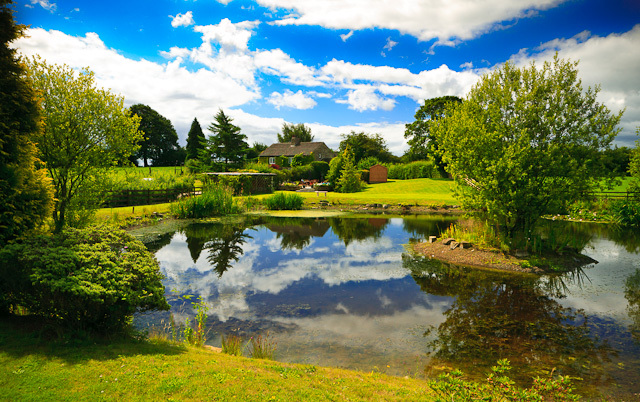 Our friends Julie & Stuart have completed a huge amount of work on their beautiful property. It featured before on Day 122 Today we visited to admire their efforts. The lake is very low due to the dry weather of late. It certainly isn’t living up to it’s name of Wetlands ! 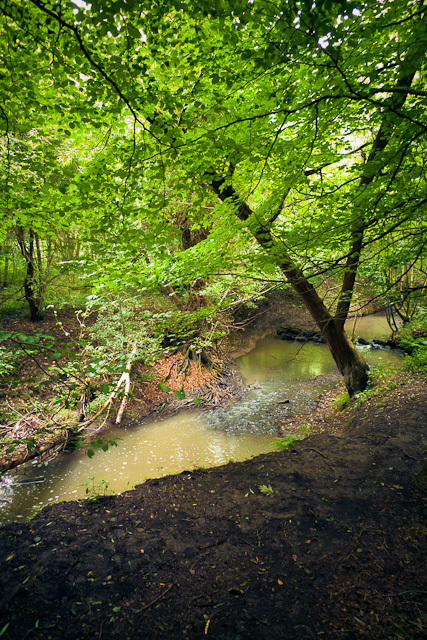 Wow, what a difference a day makes….torrential rain that floods this normally little stream.